Next community event - March Merriment! Salads in the destroyed Baby. Kip, Lina, Martin and Keren picking salad. 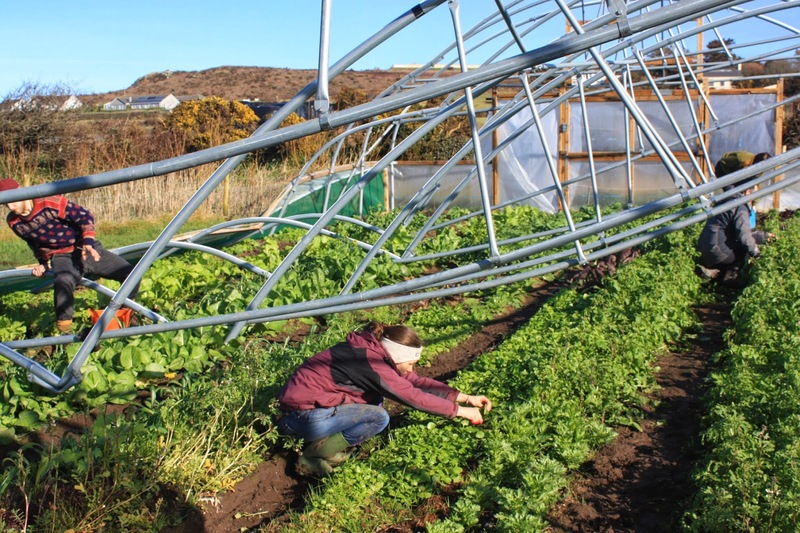 Despite being destroyed by gales, and having its plastic cut off for safety reasons, we are still harvesting several kilos of salad per week from the Baby polytunnel. In fact, the cold weather has probably prevented some of the varieties from bolting (which they may have done by now in a hot tunnel), and the watercress certainly seems to be thriving in the cold wet conditions! 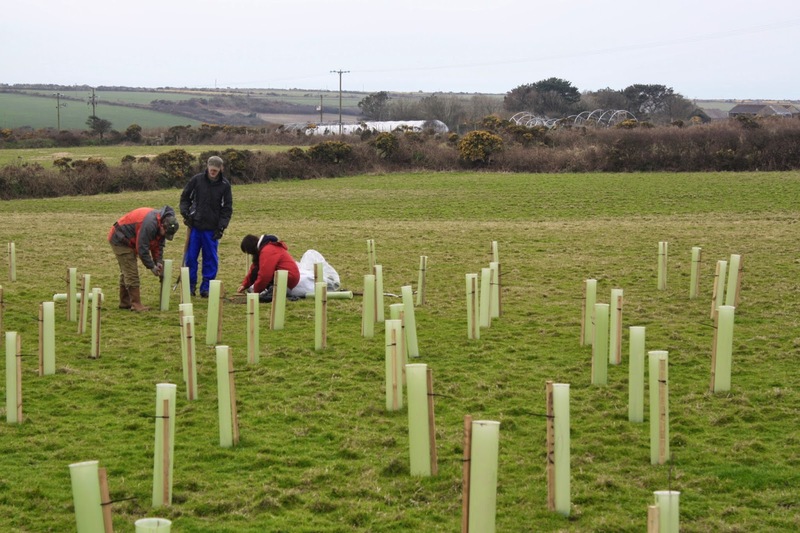 Over the past two weeks, incorporating 3 volunteer sessions, we have planted 1000 trees in the furthest field to make a community woodland, with the kind assistance of The Conservation Volunteers. 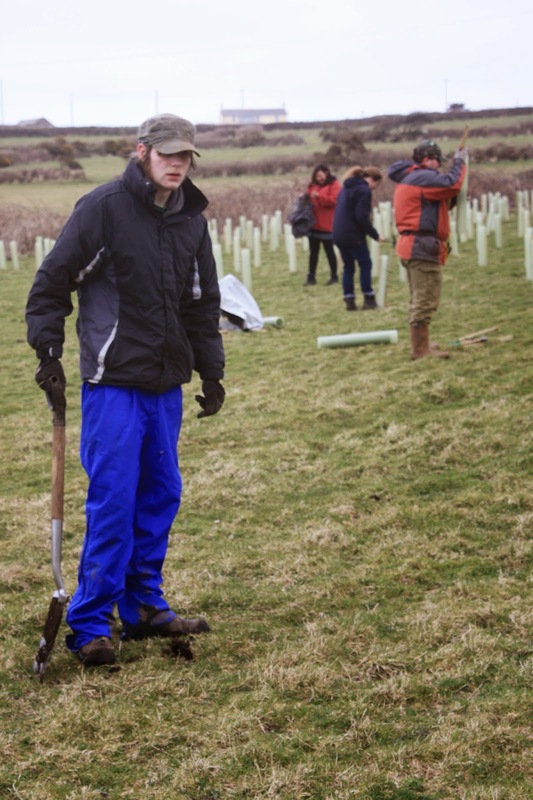 Planting a woodland is a big investment in the future, taking many years to reach maturity, so we hope this investment will remain a community woodland on a community farm for generations to come. Most of the trees are native species, including goat willow, elder, hawthorn, blackthorn, oak, beech and rowan, while we have also included a few introduced species such as sweet chestnut for the nuts, and Italian alder for its fast-growing wind-break properties. 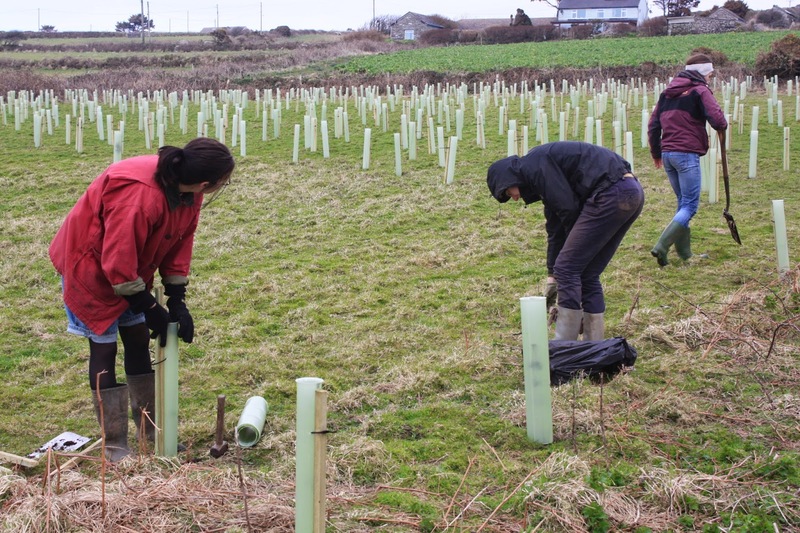 Each tree has a biodegradable rabbit-guard and stake, to protect from rabbits (we have plenty) and wind (ditto!). 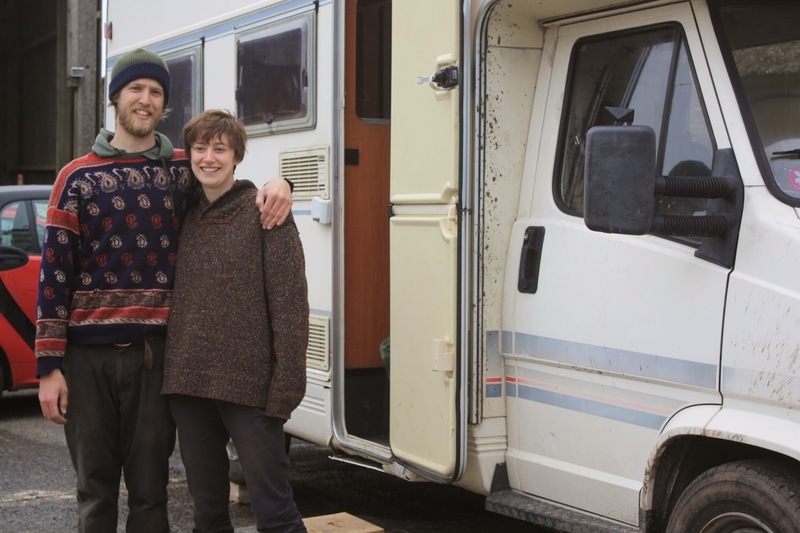 Lots of thanks also to Kip and Keren, once of London but now living in their campervan for one year around the UK. They helped on the farm for the past week, leaving this afternoon to continue their explorations. Kip and Keren outside their new home. 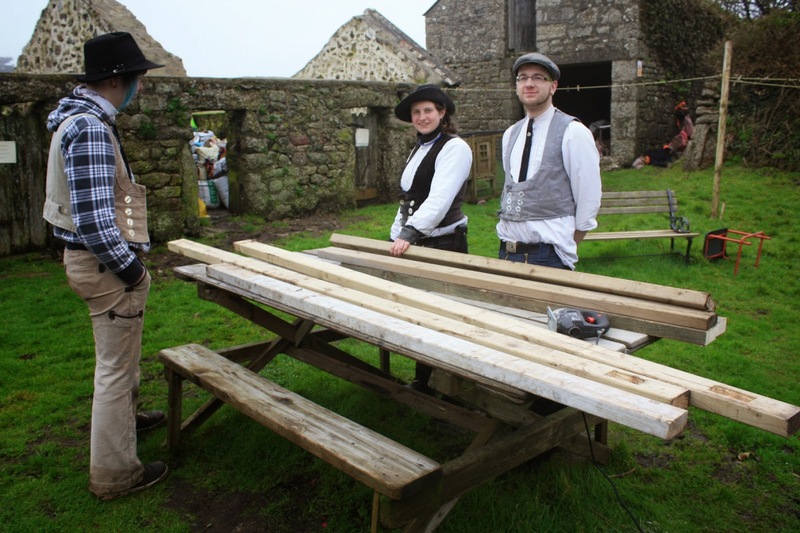 On Wednesday 5th March, three German journeymen turned up at the farm asking for work. 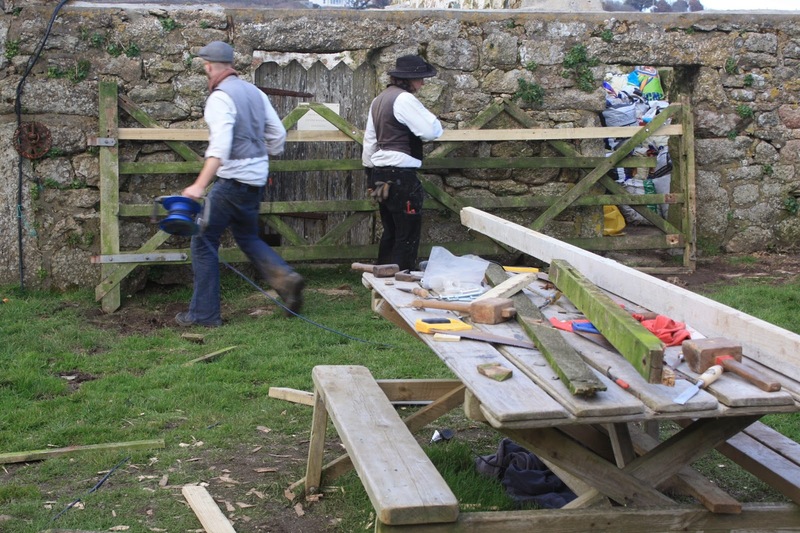 As Sarah is a joiner, Ane a stonemason, and Niklas a locksmith, we had several tasks they could turn their hands to, so they stayed for 5 nights, working for their food and lodgings. Ane, Sarah and Niklas, building a scaffold for the shop sign. Niklas and Sarah repairing the farmyard gate. Our shop sign re-erected after being levelled by the storms. Many thanks to the three craftspeople for their work - it all looks great! 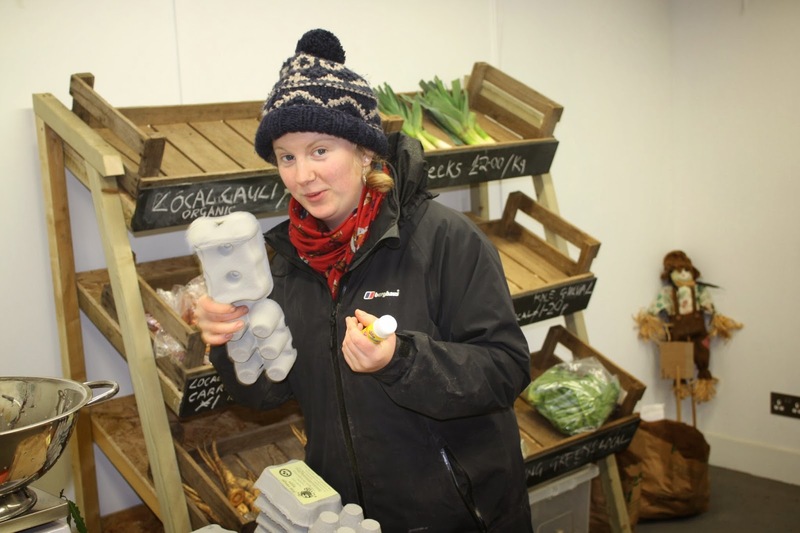 Jessie labelling egg boxes in the farm shop. 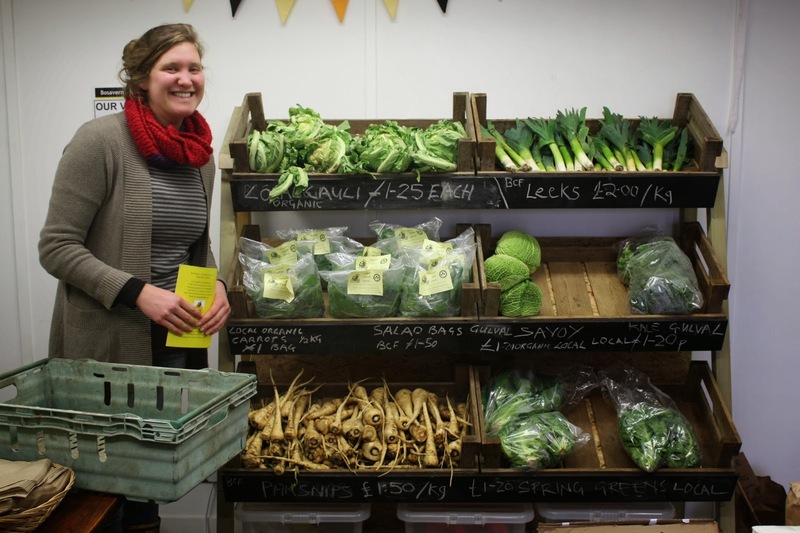 Jessie continued her wwoof tour of the UK by heading to Bude on Tuesday after one month here at Bosavern Community Farm. Many thanks to Jessie for all her work and baking! New position at the farm. 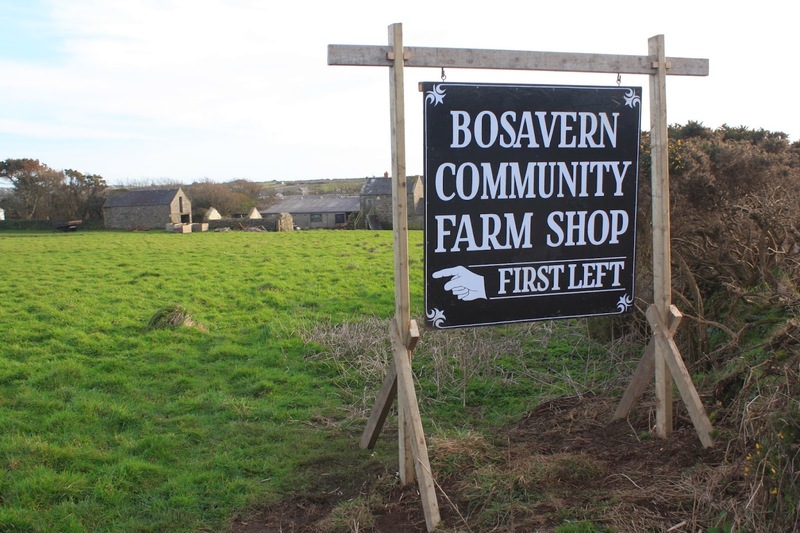 Please follow the link above to find out about an exciting new position being offered here at Bosavern Community Farm. Wynter, from the USA, left us today after 3 and a half weeks wwoofing on the farm. We'd like to thank her for her hard work and good humour, and wish her the best in the big city - very different to here! Wynter serving in our farm shop.